Some Arsenal players and staff have reportedly been left saddened by an early decision made by incoming manager Mikel Arteta with regards to his backroom team. According to Goal, the Spanish tactician is looking set to be announced in the coming days and has already had some sway over decisions at the club, most notably the sacking of Colin Lewin. The physio had been with the club for as long as 23 years and Goal claim his departure had a big effect on some players and other staff, describing some responses as ‘shocked and upset’, so it’s clear Arteta isn’t worried about ruffling a few feathers. Arteta has spent two seasons on Pep Guardiola’s coaching team at Manchester City and now seems the clear favourite to take on the big job of replacing Arsene Wenger at Arsenal. The 36-year-old spent five years playing for the Gunners before his retirement in 2016, but this will be an entirely different challenge. 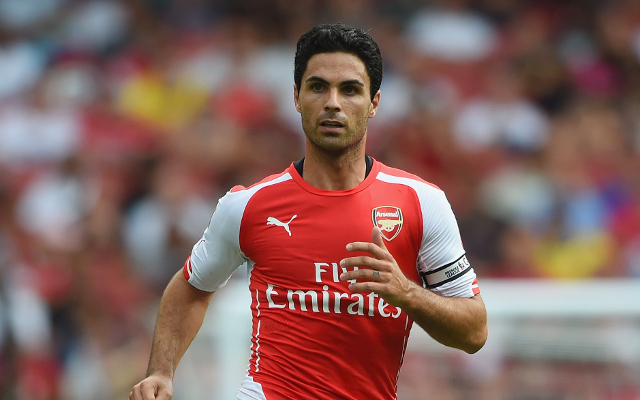 Many Arsenal fans will rightly question Arteta’s lack of experience at this level, with a big name surely preferable to come in after the departure of a legend like Arsene Wenger. The Frenchman stepped down at the end of this season after 22 years in charge of the north London giants, and while he wasn’t the biggest name himself when he arrived, he had at least won trophies in jobs at major European clubs. Arteta, however, clearly doesn’t seem over-awed by the prospect of replacing Wenger if Goal’s report that he suggested the sacking of Lewin is accurate.